Homes available for immediate move-in. Not all plans are available. One (1) bedrooms are sold out. Two (2) and Three (3) bedrooms still available but selling fast. Only one (1) Penthouse left. With just 86 luxury condominiums, open and contemporary floor plans transition to gracious outdoor living spaces. 16 floor plans to choose from ranging from 1,500 to over 3,000 square feet, several penthouse offerings up to 5,400 square feet. All floor plans are open with split masters, en suite guest rooms, 10′ ceilings, over-sized patios/balconies, full-sized laundry rooms and gourmet kitchens. High-end finishes include hardwood flooring, granite and quartz countertops, beautiful cabinetry and designer lighting and plumbing fixtures. These timeless condominium homes appeal to buyers who are ready for their next exciting chapter, without the trappings or maintenance of a large single family home. Designed for socialization and comfort, The Enclave is within walking distance to renowned shops, restaurants and entertainment. 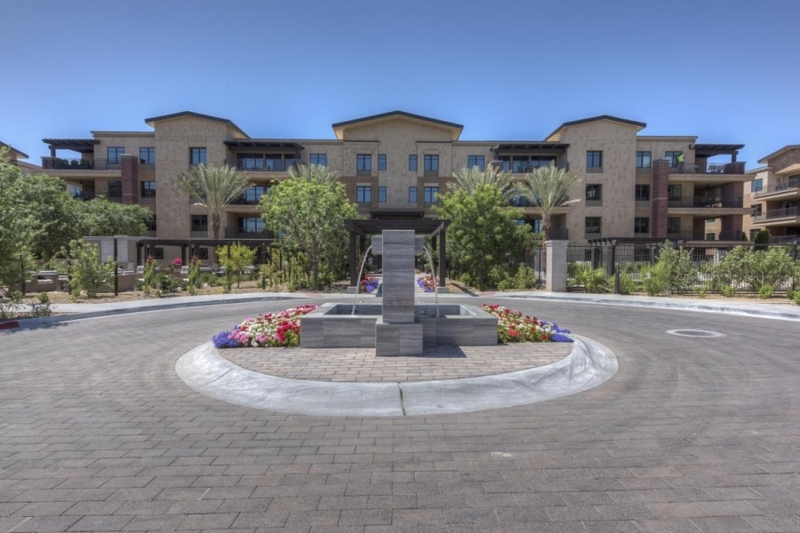 Luxury amenities include a gated entrance, resident services coordinators, club room and gardens, heated pool and spa, dog park, fully-equipped fitness studio and a walking path. One of the most exclusive and affluent addresses in the nation, The Enclave at Borgata lies adjacent to The Town of Paradise Valley. Perhaps, more important, there are few places more breathtaking than this small slice of the world, where the City of Scottsdale meets The Town of Paradise Valley. Furthermore, The Enclave is surrounded by world-class resorts including: The Phoenician, Sanctuary, The Camelback Inn, Montelucia and Hyatt Regency at Gainey Ranch. At Lincoln Drive and Scottsdale Road, it all comes together, offering the finest restaurants, entertainment, shopping, culture and recreation. Together, Scottsdale and Paradise Valley create an exclusive, yet comfortable neighborhood, all within walking distance. Formal and Casual living areas, ideal for entertaining.